How could we engage students in university decision making more effectively? Many steps in Sally’s career as a law academic at UTS highlighted this question for her – an ALTC project looking at university grievance handling; a student ombud role, sitting on various faculty and university committees, and finally chairing Academic Board and discussing the challenges in gaining input from student representatives with other chairs. Her work is driven also by a deep distaste for the ‘student/consumer’ characterisation and a belief in the role of universities as bodies for public good – developing thinkers, innovators, leaders and citizens for a democratic society. 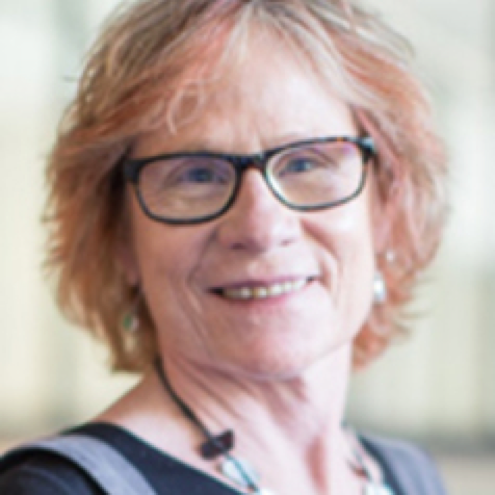 Sally’s research began with an OLT Strategically Commissioned Priority Project ‘Student engagement in university decision making and governance: towards a more systemically inclusive student voice’ (2015-2016). The project was driven by the need for a deep consideration of the meaningful and effective engagement of students’ views at all levels and of all cohorts, and how this may enhance the quality and standards of the institution and the student’s university experience and their employability. 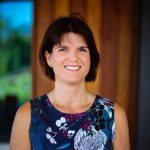 As Chief Investigator Sally worked with her team to undertake research abroad and in Australia asking: what is student engagement in decision making; why is it valuable for universities, students and the sector; and how may student voice be effectively captured in university processes? It showed that in comparative sectors such as the UK and Scotland, and New Zealand the systemic participation of students in decision-making and governance in universities is developing strongly. Much evidence is emerging of positive outcomes for universities in partnering with students. While student engagement opportunities do exist in Australian universities and many have introduced partnership initiatives, representation is not embedded through all layers of decision-making and its extent varies greatly between institutions. In these uncertain times for the sector it is imperative to keep the interests of students, course quality and the student experience uppermost. Much attention is being paid to this and there is a lot to be gained from asking the students. However effective engagement requires more than inclusion of student representatives on committees and asking students what they think after plans have been formulated. continual process of enhancement of courses and their university experience. The Fellowship is driven by the research which revealed a need for a common understanding of effective student representation at all levels of university operations in a diverse sector. Low levels of student engagement in university governance and decision-making is often attributed to student apathy but behaviour which may appear to indicate “apathy” may be better accounted for by the relatively low level of systemic support for student engagement. 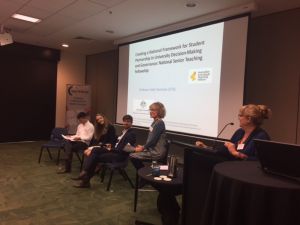 Innovations in many Australian universities show a readiness in the sector to embrace principles of student partnership. Fellowship workshops are being run to share knowledge, experiences and insights to help shape principles and a Framework to facilitate the better capture of student voice. New South Wales – Sydney June 23rd 1-3pm 8th floor, Dr Chau Chak Wing Building, UTS. The workshops will be two hours long and will begin with a brief presentation providing background to the fellowship and an outline of how the workshop will run. Workshop participation will comprise live discussions of a series of prompt questions (which will be circulated beforehand to attendees and on the website), and an opportunity to upload answers to these questions via Survey Monkey. The “survey” will also be available after the workshop to collect further input from participants and from those who are unable to attend but would like to comment on the issues discussed. www.studentvoice.uts.edu.au. As well as the draft Project report, Sally posts regular blogs and other material will appear as the Fellowship progresses.